This week is our spring break, and sorry to say, it's anything but spring here. We woke up to a thin blanket of snow on the ground yesterday day morning, and today is dreary and drab. Last year we spent spring break in Tucson and Phoenix, but this year, we are sticking close to home. Emma has both lacrosse practice and games this week, and we'll be traveling to Utah later this summer for a family wedding in place of our spring break trip. Here's how we'll be spending our staycation. Full disclosure: If you are not a cat person, move on to the next thing on the Weekend Dispatch list. 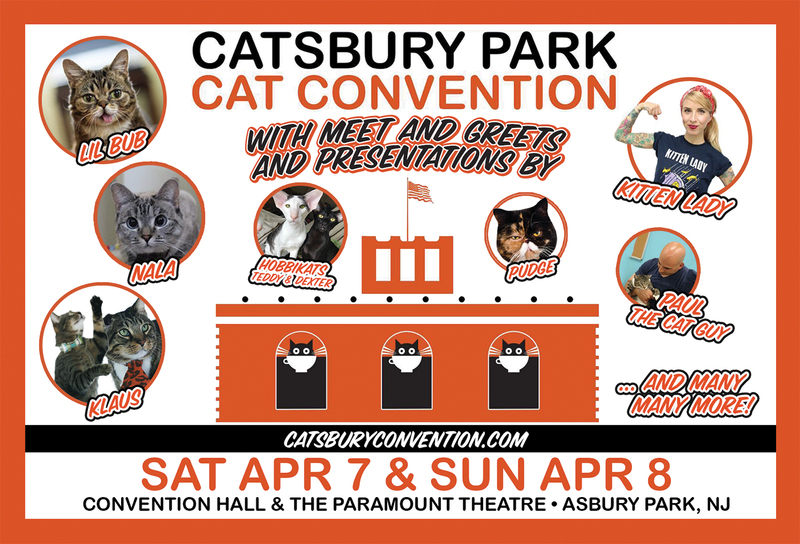 If you are a cat person, you don't want to miss the first annual Catsbury Park Cat Convention. It's happening this weekend (April 7th and 8th from 11 am - 7 pm) at Convention Hall in Asbury Park, NJ. Vendors, exhibits, and meet & greets will be the featured. For more info on specific vendors and guests and to purchase tickets, click here. 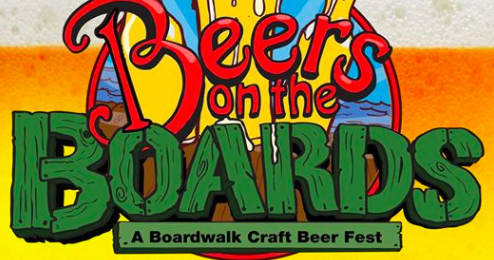 If sampling excellent craft beers and gourmet food is your thing, check out the Point Pleasant Beach Chamber of Commerce's Beers on the Boards, Saturday April 7, 2018 at Martell's Tiki Bar. All beer (includes craft brews from over 40 breweries) and unlimited gourmet buffet is included in the price ($55 per ticket). There is limited space for this event. It will sell out, and the PPBCC will not oversell tickets. Purchase tickets here. Must be 21 and over to attend. Hard work pays off. There's no doubt about that. But this Houston teen is reaping all the rewards of years of hard work and his mother who was his inspiration. You must watch this viral video of 17-year old high school senior showing his reaction to the news that he was accepted to Stanford University, his top choice since he was a child. His reaction is priceless, and I love how his friends are equally as excited and supportive. He has until May 1st to decide which one he'll attend. His mother says that although Stanford University is his top choice, Harvard may be a better fit. Oh, to have his dilemma. To read the full article, click here. Since I'm a vegetarian, I have to find creative ways to make sandwiches. There's only so much you can do with sliced veggies. After doing an extensive search on Pinterest for vegetarian recipes, I found this recipe for a hummus and vegetable sandwich. 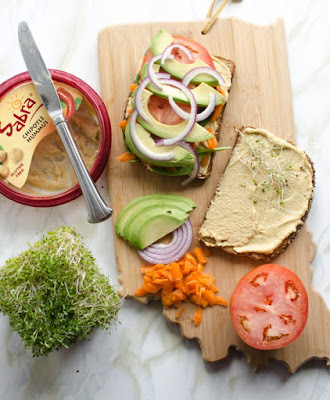 You can use any variety/flavor of hummus that you prefer (I like Tribe's Everything Hummus), but a spicy, roasted red pepper hummus would work wonderfully here. When you work from home, a commute is non-existent (that can be both good and bad). A drive, regardless of whether it's long or short, is always a chance for me to reflect, listen to a new podcast, audio book, or a new musical artist. Even though I work from home, I still try to use the last hour of work as a sort of commute. I like to write out the next day's to-do list while listening to something. 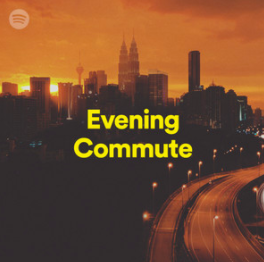 Lately it's been Spotify's Evening Commute playlist. It's mellow enough to relax you after a long workday, but it's also upbeat enough to energize you for the night ahead...whatever that may be. With a wide range of music and artists such as Niall Horan and Kygo, you'll definitely find an array of songs that you can listen to over and over again. So, tell me. What do you have planned for the weekend?